Pets are family and we’ll do everything we can to make them comfortable and happy. While we can get pet supplies from brick and mortar stores, there are times when we really can’t drive to the mall or a pet store. And thus, the next best thing, or even better, is to buy your pet supplies online. One of the best places for all things pets, Petco.com literally has everything all under one roof. 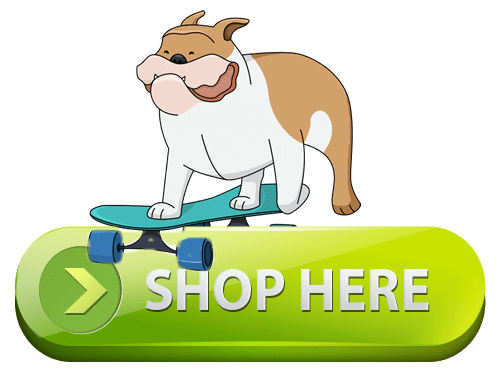 An online shopping destination offering products and services for dogs, cats, small animals, and the like, the site is your go-to online retailer for all of your pet’s needs. Let’s take a look at what the site offers, some information on the company, as well as the perks of shopping on the site. Petco has been in business for over 50 years. The company is driven by their goal of nurturing relationships between pets and owners through the use of products and services that help pets to become well taken cared of, keep them physically fit, mentally alert, and ultimately happy. The company is one of the most recognised names in pet supplies, having over 1000 locations in the USA, Mexico, and Puerto Rico. Employing over 25,000 employees, the company also has other smaller format establishments such as their 85 and growing Unleashed by Petco locations, which are small Petco neighborhood stores, as well as their 9 and counting Pooch Hotels, which offer pet daycare, spa services, and boarding. The company also sells and holds animals for adoption, such as reptiles, fish, birds, hamsters, mice, and guinea pigs. They don’t sell dogs, cats, or rabbits. 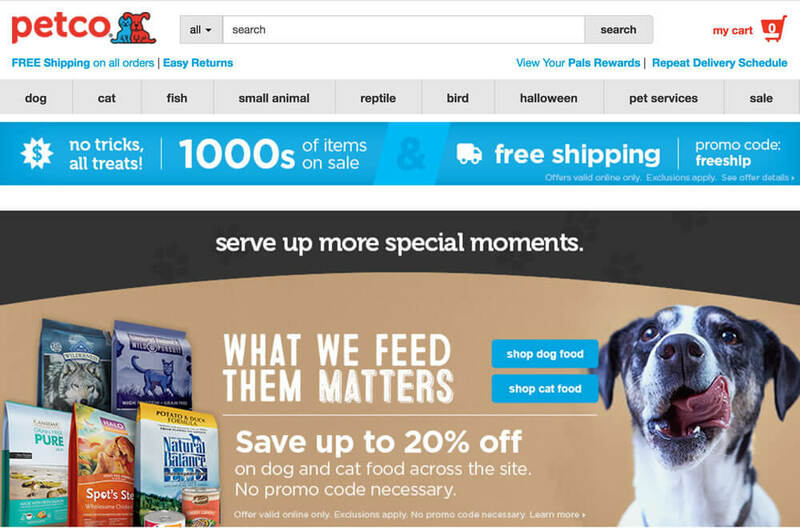 Petco.com is the company’s online retail platform where most of the products and services on offer at actual Petco stores are also offered on the site. Providing opportunities for pet owners to provide their pets with every possible thing they need to stay comfortable and happy, the online platform offers absolute convenience and the ability to thoroughly dissect the products before reaching for their wallet. The site is very user-friendly as categories are organized at eye level. The sections are divided depending on what kind of pet you have, such as the categories for Dogs, Cats, Fish, Reptiles, and Small Animals. The other categories directly seen on the home page include Sale for discounted items, Halloween, for costume and clothing ideas, and Services. The categories are varied and complete. Everything you need for your dog, for example, can be found under the Dog category. Among the sub-categories include apparel, bed and bedding, collars, leashes, and harnesses, furniture protection, feeding supplies, toys, training, waste disposal, health and wellness, gifts for pet lovers, grooming and wellness, and a list of other sub-categories specific for the pet category. Once you open these sub-categories, the products are further organized into the brand of products, the customer ratings of the products, and price. The way the products are organized allows you to filter the very specific thing that you need for your dog. For example, your dog has a specific favorite dog treat but you’re unsure about the brand. What you can remember is that it’s grain-free and costs less than $20 a pack. If you can’t remember the brand, you can easily find it by using the price and grain-free filter on the categories. However, if you don’t know exactly what you’re looking for, the amount of products and the number of categories and sub-categories may be a little overwhelming. It’s highly recommended that you have an inkling as to what you want to buy when you visit the site as the company offers thousands and thousands of products that can make it hard for you to choose for your dog or pet. The site offers a loyalty program for customers, so the more you buy from the site, the more rewards you get. It’s the company’s way of positively reinforcing you each time you make a purchase, and allows you to enjoy discounts on certain items or to redeem rewards when you’ve fulfilled the required number of points. You can also enjoy free shipping when you purchase anything over $49, which is a major plus compared to having to go to a brick and mortar store where you’ll actually have to spend money on gas. So basically, buying at Petco.com literally gives you savings. The site also has a rich resource of articles that provide tips and guidelines on taking care of your pet, knowing what to do for certain incidents, as well as knowing appropriate relationships between pets and children. Shopping at Petco.com means you can shop for your dog or pet from the convenience of your own home. It saves you time and money, and allows you to truly compare and gauge whether or not a certain product or service is actually what you need. The site is easy to navigate and finding the products you’re looking for is surprisingly easy despite their tens of thousands of inventory. You can buy online or you can even call them to make your purchase. Product returns can be done within 60 days of purchase for products, and customer service is readily available to address any of your concerns at all times. If you need anything, absolutely anything for your beloved pet, Petco.com is the online destination for all of your pet’s needs.